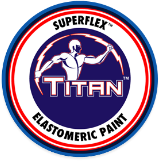 TitanTM SuperflexTM Sugar Dust T-5115 gives this home exterior the much-wanted classic white effect. 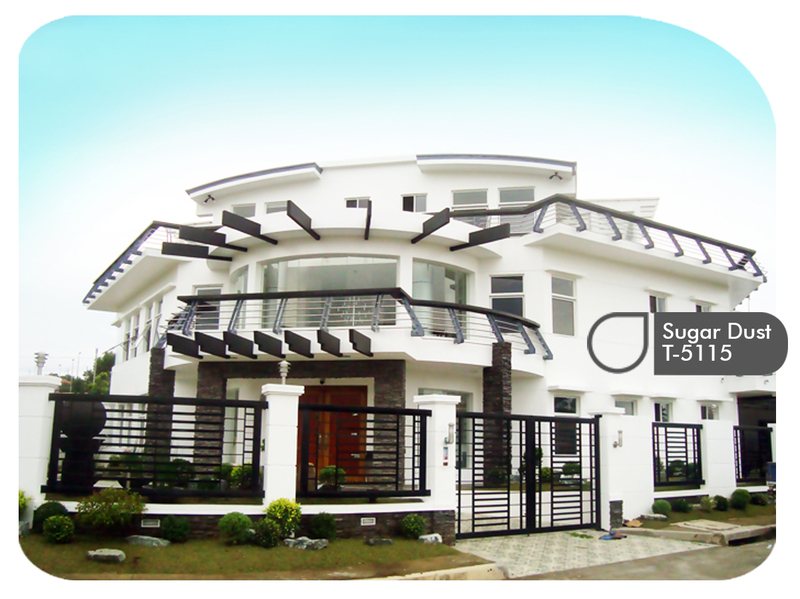 The combination of the selected colors with the structure's modern design allows it to exude a smart and classy aura. 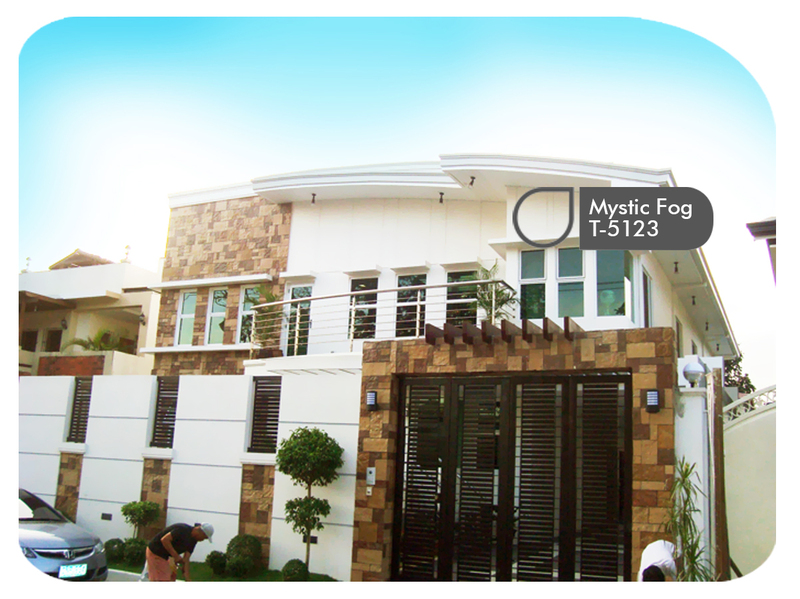 For this home, TitanTMSuperflexTM Mystic Fog T-5123 was used to let the stone cladded entrance stand out. The neutral color complemented the textured surfaces, allowing it to be the center and welcoming point. 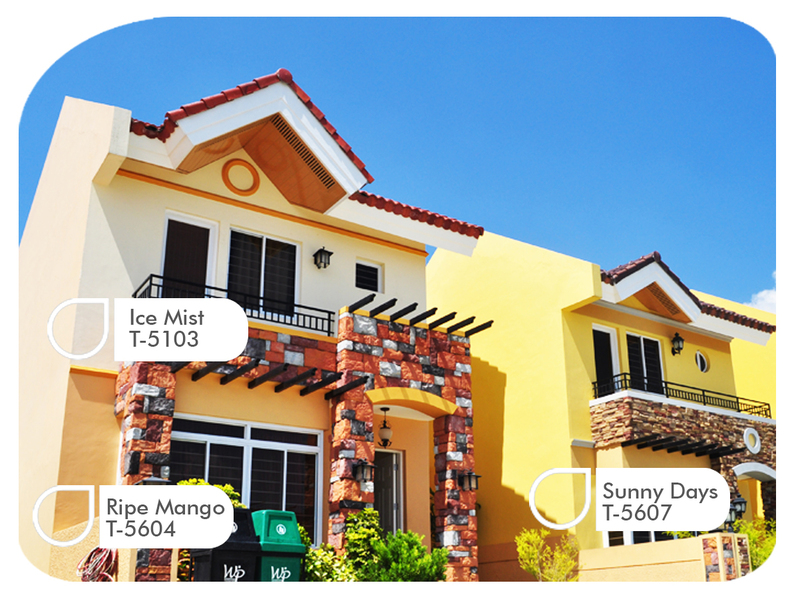 The creamier and warmer tones of TitanTM Superflex TM Sunny Days T-5607, Ripe Mango T-5604 and Ice Mist T-5103 were used to give these homes a lively presence amidst the greenery and textures surrounding it. The light it brings to the space leads the eye to the structure, giving a sense of energy and perhaps, even happiness, to passersby and guests alike. 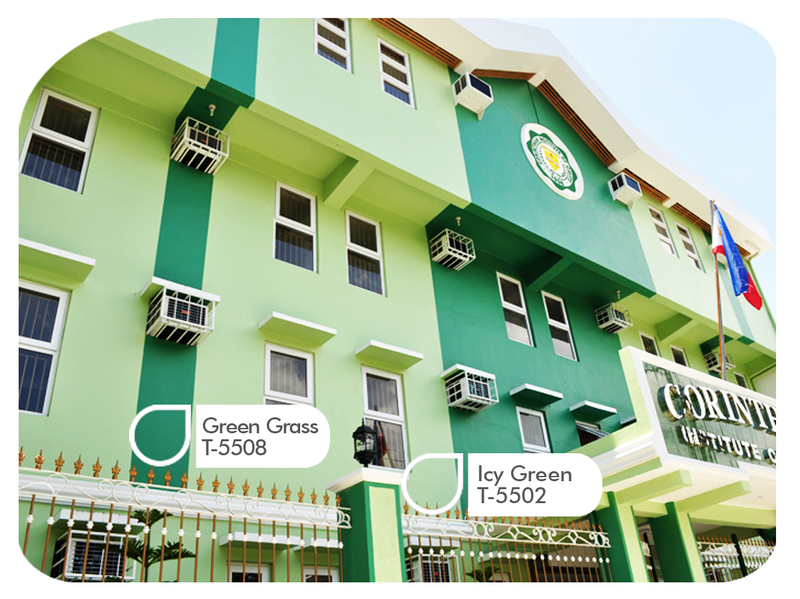 Tapping on the color's calming and inspiring attributes, TitanTM SuperflexTM Green Grass T-5508 and Icy Green T-5502 were used for this institution's exterior. Though monochromatic, the darker and lighter shade complement each other, letting the white window frames be the final accent.